Let’s talk about how to remove wrinkles and lines from your face naturally. Without needing a facelift or any plastic surgery. If you suffer from dull skin, dryness, or wrinkles, then you’re going to love this. Here are some great tips for putting some firmness back into your skin texture. How to remove wrinkles- Great tips and treatments! Wrinkles are annoying and disappointing. It’s hard to feel youthful when you see the signs of aging every time you look in the mirror. Conventional treatments like Botox, face peels and plastic surgery aren’t the way to go. Many of these invasive procedures cause negative side effects like painful skin inflammation. To prevent wrinkles permanently, use natural, healthy ingredients that promote skin elasticity and moisture. This is one of the most important nutrients for your body, especially the skin. Sadly, many people over the age 30 have vitamin B12 deficiency and don’t know it. Vitamin B12 levels drop as you age, so it’s important to take extra doses of vitamin B12. How does vitamin B12 help your skin? Vitamin B12 supports healthy cell renewal, resulting in firm young skin. 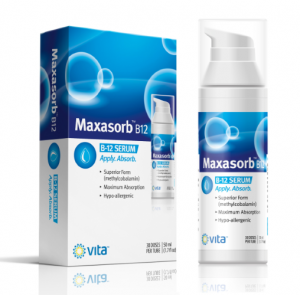 It also combats eczema symptoms such as dryness, flaking, and painful skin patches. Scientists have long touted the anti-aging benefits of vitamin B12. Increase vitamin B12 to promote hair fullness to prevent graying. Vitamin B12 aids in skin pigmentation. Skin whitening (vitiligo) and age spots are symptoms of vitamin B12 deficiency. Skin lesions sometimes show vitamin B12 deficiency. Boosting your vitamin B12 levels will reduce instances of lesions caused by low B12. How do I get more vitamin B12? You can get vitamin B12 from protein foods such as meat, fish, and dairy products. Unfortunately, as you age, it gets harder to digest vitamin B12 from the food you eat. To combat this problem, it’s necessary to take vitamin B12 supplements. The best are transdermal B12 (through the skin), versus oral. 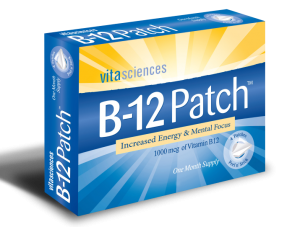 Vitamin B12 creams and vitamin B12 patches are popular with online retailers. You’ve heard this before, but it bears repeating. Stress makes you frown, scowl, and look distracted. It also puts strain on your eyes, making you squint more. These expressions become embedded as wrinkles and lines on your forehead, cheeks and mouth. Besides, stress also causes many health problems. Take deep breaths throughout the day. Take some “me” time every day, even if it’s just 10 minutes. Cut back on caffeine and sugar. Take plenty of healthy vitamins and minerals. Exercise at least 20 minutes each day. Get plenty of sleep! Melatonin can be helpful for that. Vitamin creams are your best tools for youthful skin. Vitamin-enriched skin lotions have rich moisturizers for wrinkles. Plus, they nourish your skin with beneficial vitamins. Your skin will continue looking fresh and vibrant all day long. Look for skin lotions containing vitamin B12, vitamin D, and vitamin E.
Can you suggest any other ways to remove wrinkles naturally? We’d love to hear from you!